DISCLAIMER – MOM, THIS IS AN OLD PHOTO!! Anyway, here’s my entry for this week … I had to just go into Photobucket and pull something out since I’m not at home. Normally, I like to go into my backed up old files to pull one, but this one will do nicely. Its a bit embarassing, but not only does it show how far I’ve come with my photography skills in the last 3 years, but it shows that everyone has to start somewhere, right?? 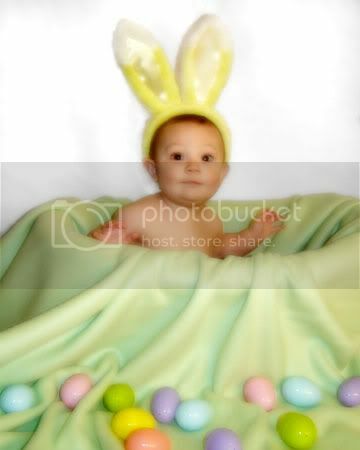 So here it is in all of its Photoshopped glory, Hayden’s Easter portrait from 2006. He was about the same age that Emelyn is now.